April has turned out to be far from a clear month for boat work, the day job has has kept me particularly busy, although in spite of this we did manage to fit in a weeks Rn'R including a stellar trip out to Warner Bros Studies near Watford to see the Harry Potter film set's and props. 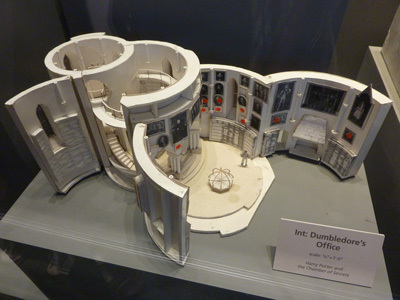 I particularly liked the room with all the set drawings and the scale models of the various sets. But as a designer I guess I would. Why don't they compile them into a coffee table book? Definately worth a visit if you enjoyed the books or the films; very professionally done.